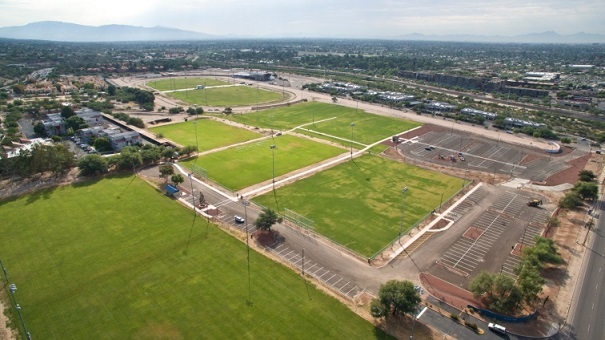 The west side soccer complex was developed at the existing Rillito Regional Park including three new natural turf fields, lighting for three fields, a new restroom, landscaping, and new lighted parking lot. 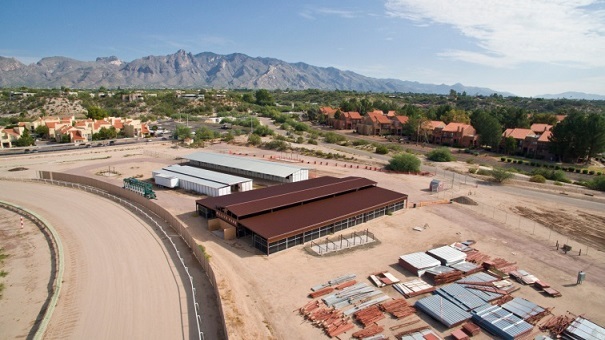 New ramadas, connections to the Loop at the Market Pavilion, plus relocation and reconfiguration of the racing stables to the east side of the track were included in earlier work. This park now has eleven full athletic fields, nine of which are lighted, making it the largest regional soccer complex in Pima County. The new fields can be used by many other turf sports, including lacrosse, rugby, and football. The multi-purpose park features horseracing facilities, grandstands and space for concerts, community events and a thriving weekly farmer’s market. Additional ramadas and a new playground with shade structure, along with lighting, sidewalks and other related amenities, were installed and completed in December 2016.